The Perote consists to go out for binge to the steps of the “tamboritos” from the town of Santo Domingo to the Beach of the Uverito. The Perote begins the previous night, with a happy “tamborito” as to warm up; during the morning, people walks the “tuna” since Santo Domingo until Uverito beach, where they spend all day celebrating, the women singing their more famous melodies of the “tamborito”, eating typical food of the region. When the sun begins to fall, the “perote” goes moving away of the beach and being approached to the town; The Bull, is a personage that charges the participant of the “perote”, during the traveled through of the same one. The “Perote” makes stops in places been distant by the tradition. There, the take some cold soft drink until arrive again to the town where they continue the binge in some parlor of dance with their “tamboritos” and folkloric dances. The “Perote” is celebrated each fifteen days during the months from August to November, weekends, during the epoch of the rainy station. Local men celebrate the traditional Perote. Panama has numerous festivals with dancing, drinking, live music, and plenty of socializing. When you visit Panama and the Azuero Peninsula you will be amazed at the cultural enthusiasm that is present in towns like Las Tablas and Pedasi. 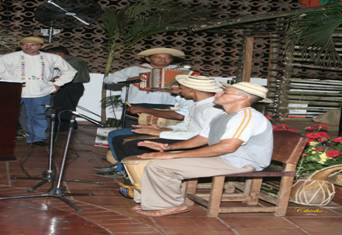 Come to Panama and see the Azuero Penisula, its beaches, ocean view property and all the cultural events.